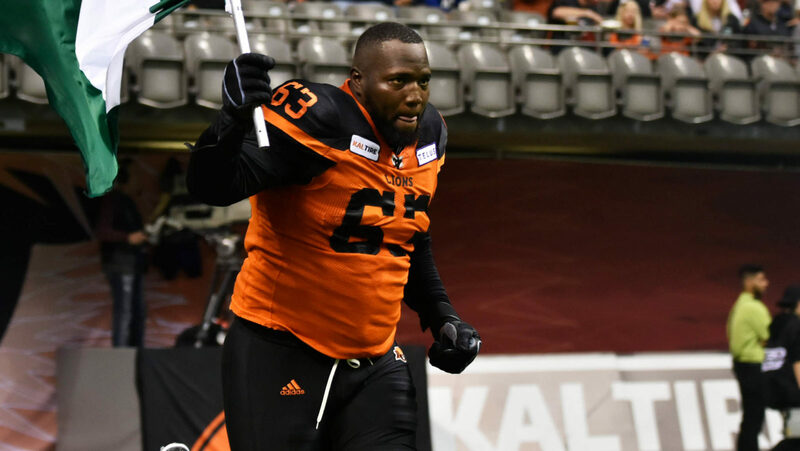 Tributes poured in from around the Canadian Football League this week after BC Lions offensive lineman Jovan Olafioye announced his retirement from professional football. The six-time CFL All-Star was a player respected by teammates and opponents alike, and that showed through on social media following the announcement. @jolafioye63 played season after season without missing a game and went through entire campaigns without yielding a sack. Retirement congratulations to @BCLions zero hero, a six-time CFL all-star whose generosity of spirit was matched only by his unbending play on the gridiron. Best of luck to Jovan and his family in the next chapter.